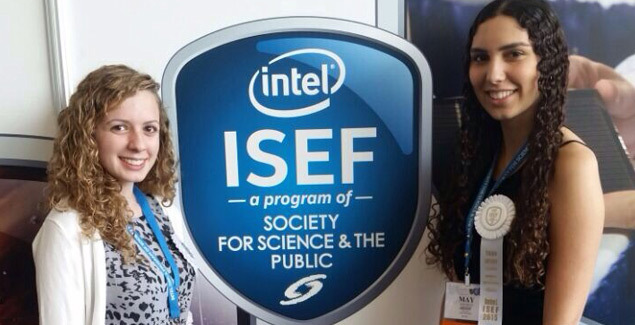 Our students, May Shoshan and Betty Shemaev, proved to be amongst Intel International Science and Engineering Fair’s (ISEF) best and brightest, winning third place against 150 teams in their category. Thousands of high schools students from around the globe avidly developed original research projects and hoped to make it the prestigious Intel ISEF. In May 2015, 1,702 promising young scientists, engineers and mathematicians gathered in Pittsburgh to participate in what is the world’s largest pre-college science competition. 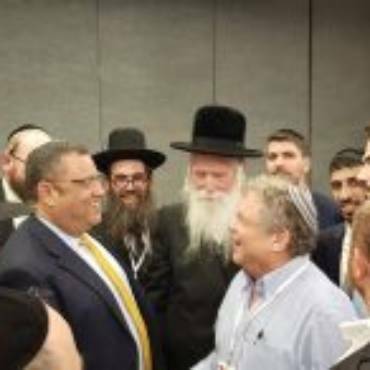 Greenberg Sci-Tech in Kiryat Tivon is a vibrant hub for over one thousand high students, one of 206 schools and colleges around Israel, with a strong science and technology focus. Educator Oren Lamdan of Greenberg Sci-Tech accompanied the girls to Pittsburgh. He proudly explains the significance of this experience for his students. “When I left Intel 4 years ago to become a teacher I did not imagine how interesting, challenging and rewarding this new career is going to be. The opportunity to guide such excellent students through these varied and interesting projects is simply amazing. “Betty and May are both students in the science and engineering track in our school. Their project captures the essence of this special track. It is based on a solid knowledge of biomedicine, electronics and programming but it also blends in very strong engineering practices. “The girls came up with a creative solution to a real-life problem and with very hard work and dedication were able to design a working solution. This project provided them with the invaluable experience of leading a full scale engineering project. They had to master different scientific and engineering disciplines and work with multiple companies that helped manufacture their system components. For some engineers it might take years before they are able to experience all this and they were fortunate enough to experience it during their high school studies. I am very proud with Betty and May’s achievements in the two [qualifying] Israeli competitions and at ISEF, but even more with the qualities they showed on the long and challenging path of this project. I hope that some of these qualities we helped nurture during their studies in school. When I left Intel 4 years ago to become a teacher I did not imagine how interesting, challenging and rewarding this new career is going to be. The opportunity to guide such excellent students through these varied and interesting projects is simply amazing,” said Oren. When a broken limb is encased in a plaster or fiberglass cast, if the limb becomes swollen or swelling goes down, it can cause pain and damage, and the cast must be replaced. 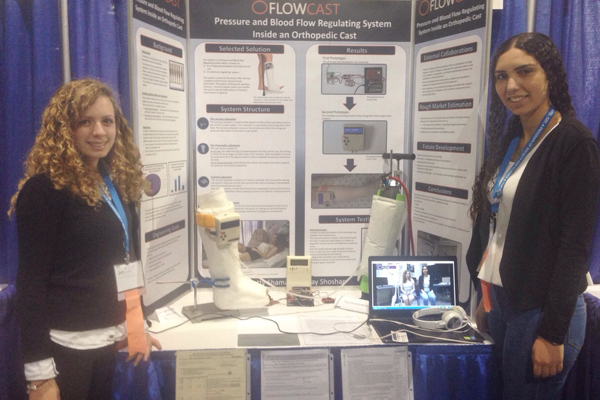 These grade 12 Israeli teens have come up with a solution that changes this: a light-weight computer-controlled inflatable bladder fits between the limb and the cast. Electronics monitor the pressure inside the bladder and adjust the amount of air it holds to keep the liner’s grip on the limb firm but comfortable. Science Society website’s Sid Perkins described the invention in detail. This week-long celebration of science, technology, engineering and math is a program of the Society for Society and the Public is crowned by the USD5 million in awards and scholarships, rewarding cutting-edge research, the ability to tackle challenging scientific question and design innovative solutions for the problems of tomorrow. Students can learn from college professors and distinguished professionals and Nobel Laureates in their fields of interest. They have the opportunity to interact with fellow young innovators who are as passionate as they are. Keynote speaker Luis von Ahn, college professor, entrepreneur and co-creator of Duolingo, a language learning platform named Apple’s iPhone App of the Year and Google Play’s Best of the Best in 2013 and 2014. Excellence in Science and Technology Panel, moderated by NPR science correspondent Joe Palca and featuring Nobel Prize winners Martin, Chalfie, H. Robert Horvitz, John Mather and Harry Kroto.